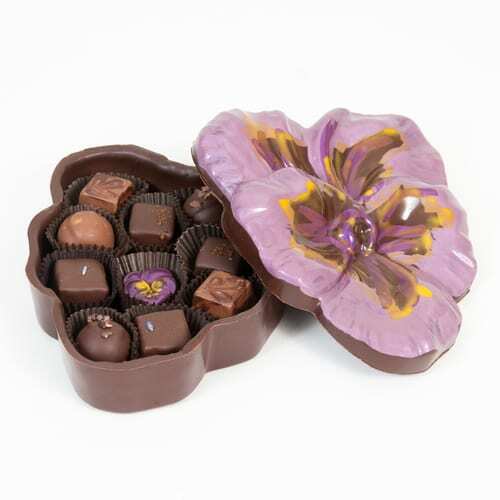 The Purple Pansy Mother’s Day Masterpiece Box is a beautiful expression of love. 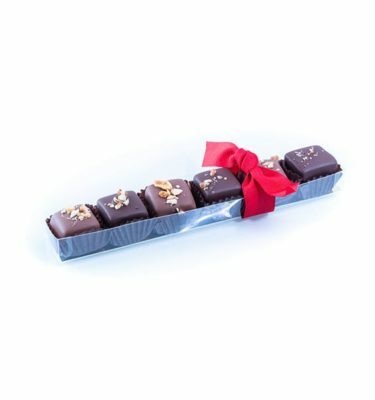 The box, made completely of dark chocolate, is an impressive and unique presentation that is sure to make every mother feel loved and appreciated. 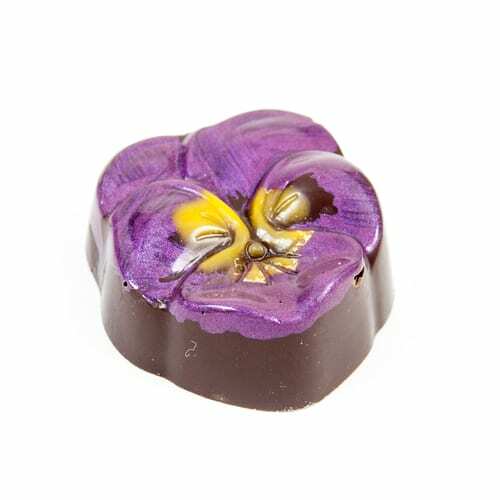 Each masterpiece is individually hand painted and filled with 13 assorted pieces selected by the chocolatier. 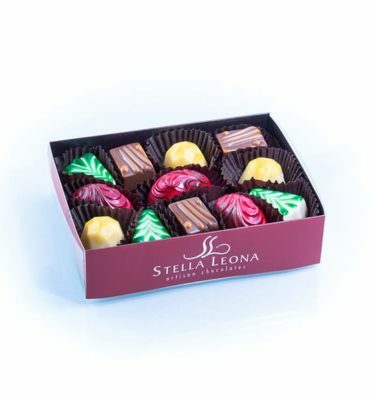 Available for any occasion through Mother’s Day. 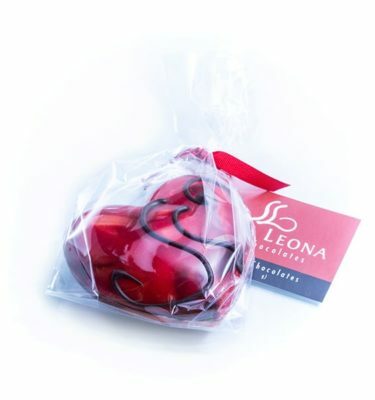 Honor a woman you appreciate and provide life-giving support to a mom in need by purchasing this gift. For the third year running, we are partnering with the organization, Finding Freedom through Friendship, Inc. to provide for the basic needs of single mothers and their children in rural Guatemala. 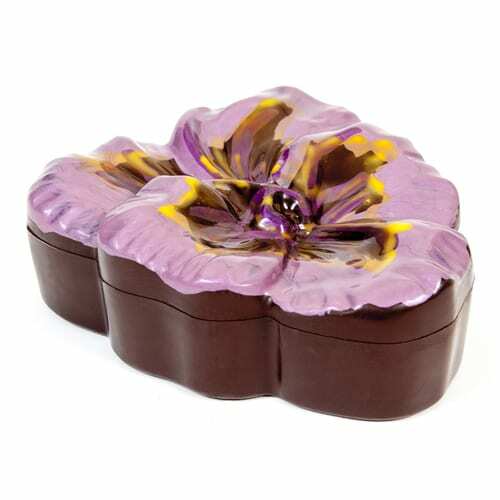 For every Mother’s Day Pansy Box sold, we will donate all profits from this item to FFF which assists mothers with nutrition, education and basic health care and housing needs. Single, indigenous mothers are some of the most impoverished people in Latin America. The chronic stress of poverty, illiteracy and high birth rates have created an acute need for support services for women in the highlands of Guatemala. You can learn more about this worthy organization by following this link. 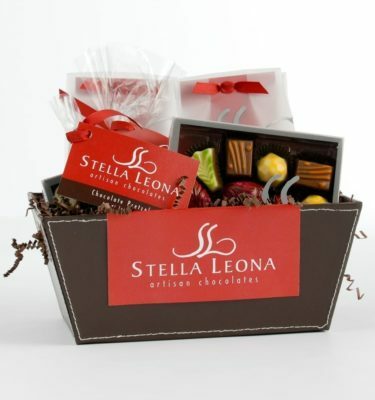 If you are interested in knowing more about why we have chosen to partner with FFF, follow this link to our “Stella Leona Life of a Chocolate Artisan” blog.